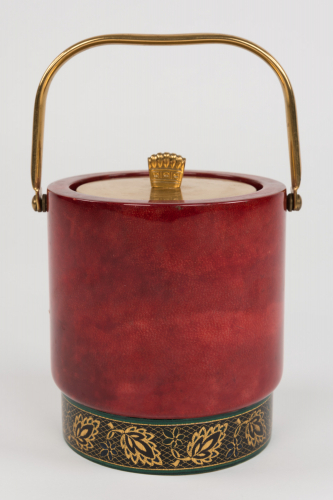 Gilt metal lid and handle, red goatskin body and a hand painted base. Interior in mirrored glass (no damage or staining). Designed by Aldo Tura, Italy circa 1965.